According to the U.S. Department of Agriculture, farm families in this nation have more than doubled their food production since 1948. Inflation-adjusted prices for agricultural commodities have declined because of food abundance. Lower prices especially benefit lower income families because they spend a larger percentage of household income on food. As productivity has increased, the use of resources has been reduced. U.S. farmers now grow on 25 percent less land and employ 75 percent less labor than during the 1940s. They have also slashed their water use. In Florida, most farm families have cut their water use by 50 percent in the last two decades. According to the Florida Department of Environmental Protection, urban residents now constitute the primary consumers of freshwater resources in the state. Farmers celebrate Earth Day every day by conserving resources as they serve our larger society. 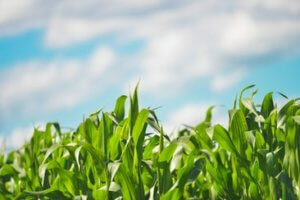 For more information about U.S. agricultural productivity, click here.